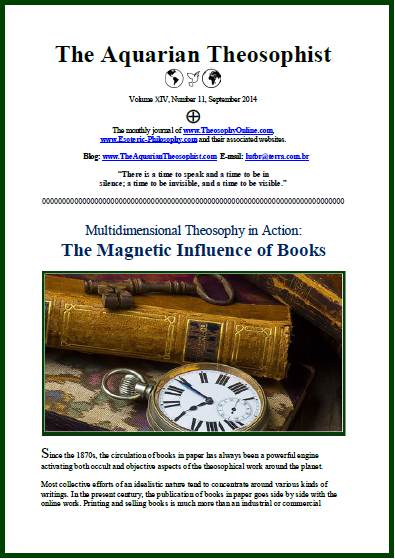 On pages 1-2 we have the article “Multidimensional Theosophy in Action: The Magnetic Influence of Books”. On p. 3, N. C. Ramanujachary writes the note entitled “Helping Humanity’s Progress” and clarifies that “theosophists are not copycats”. On pp. 4-5, “An Exercise in Self-Observation: The Two Sides of Our Soul”. 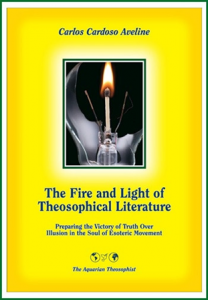 Juan Pedro Bercial is the author of “Hard Facts and True Optimism”, a commentary on the book “The Fire and Light”. On p. 6, the reader sees “The Paradoxes of an Investigation”. A fragment from W.Q. 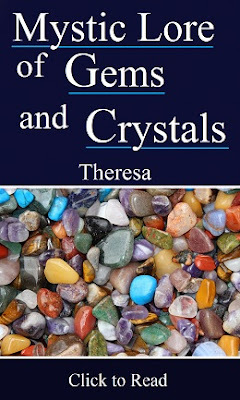 Judge, “The Higher Self and the Sun”, will be found on p. 7. * A List of U.L.T. Lodges. The 18 pp. edition includes the two-line text “The Justice in the New Day” and the four-line, illustrated article “How to Open the Door of Knowledge”. 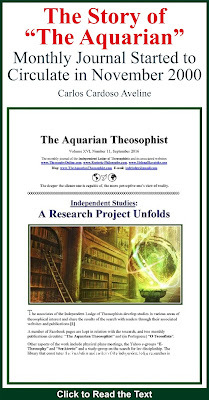 It closes with the List of New Texts in www.TheosophyOnline.com and its associated websites.